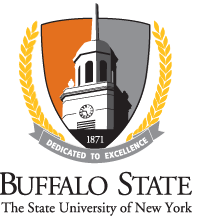 The Parking and Transportation Committee at Buffalo State was formed by recommendation of the ad hoc Parking and Transportation Task Force, which existed from February 2003 through summer 2004. The Task Force determined that a permanent committee would benefit the campus by providing a means to continuously evaluate parking and transportation concerns. The committee would provide continuity for analyzing issues, as well as a mechanism to address comments and suggestions from the campus population. Submitting reports of these recommendations to the Vice President for Finance and Management. The President’s Cabinet and the campus population provide subsequent review of, and feedback to, the reports, resulting in a “campus feedback” document to be considered by the committee. The committee is chaired by Dr. Wende Mix, Associate Professor in Buffalo State's Department of Geography and Planning.